After all the work was done to the center sill beams, it was time to put them together. The coupler draft gear castings were added first. Not all of the original T-bolts remained, so some new ones were made. The I-beams took a bit a work to get to fit correctly. One I-beam was bent slightly and another was bent and had a slight twist. One was originally crafted from three different piecesof I-beam! They were cleaned and wire wheeled before being painted. 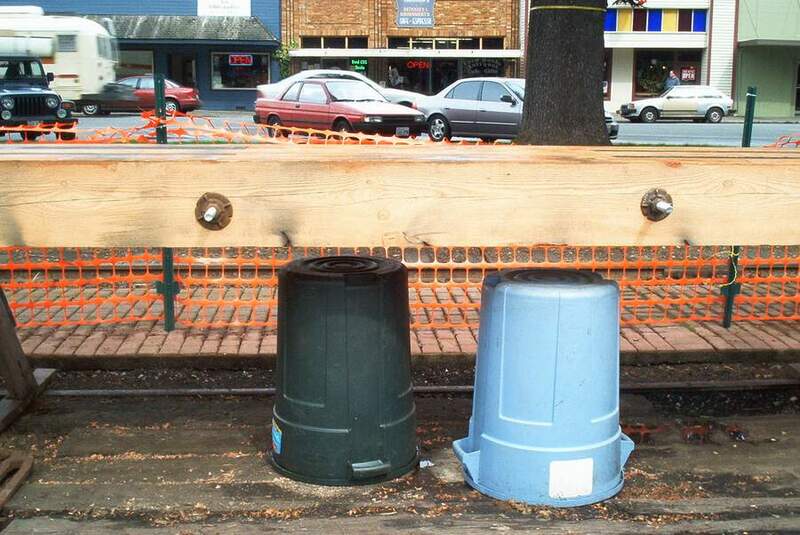 Once in place, the three beams were carefully bolted together. The new center sill weighs close to 1500 lbs. The coupler draft gear castings have been installed. 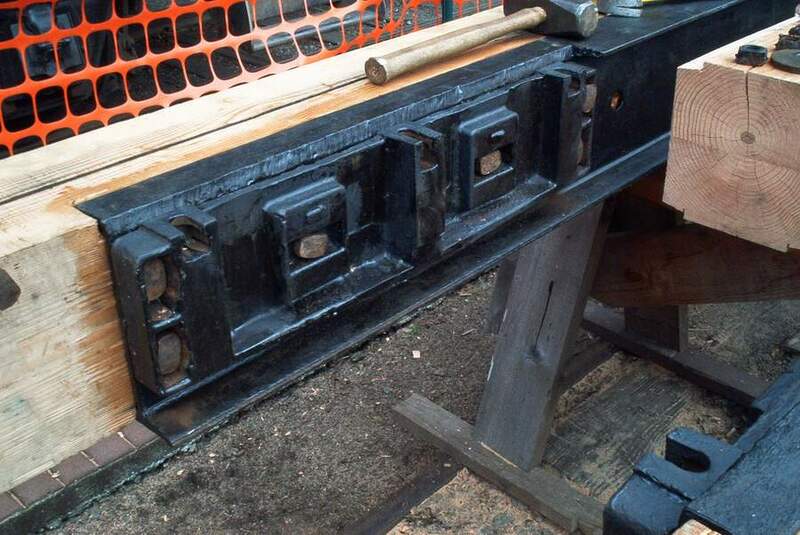 The pillow blocks rest in these castings, supporting the coupler. Three are original Pacific Car & Foundry pieces. The fourth is a replacement casting original to the caboose. The coupler draft gear bolt pattern. 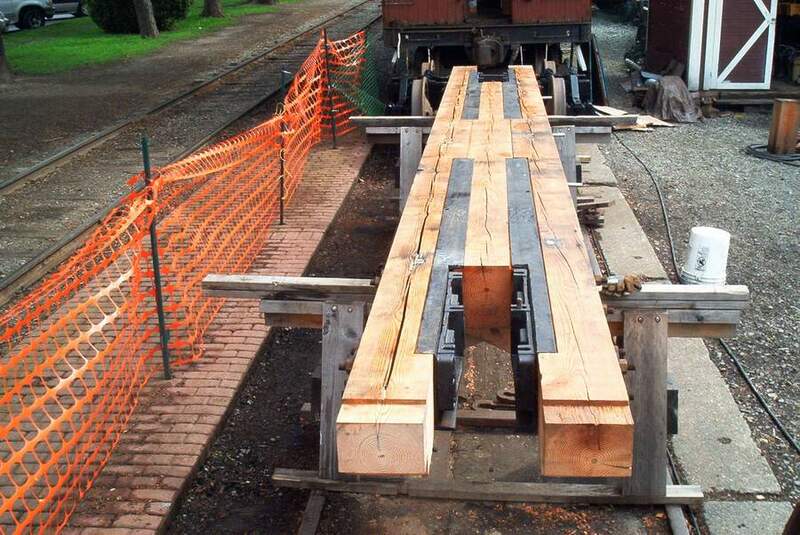 These heavy flat washers were used by Pacific Car & Foundry on their log cars. The hole just to the left is for one of the bolts that will hold the three beams together. The draft gear castings are on. 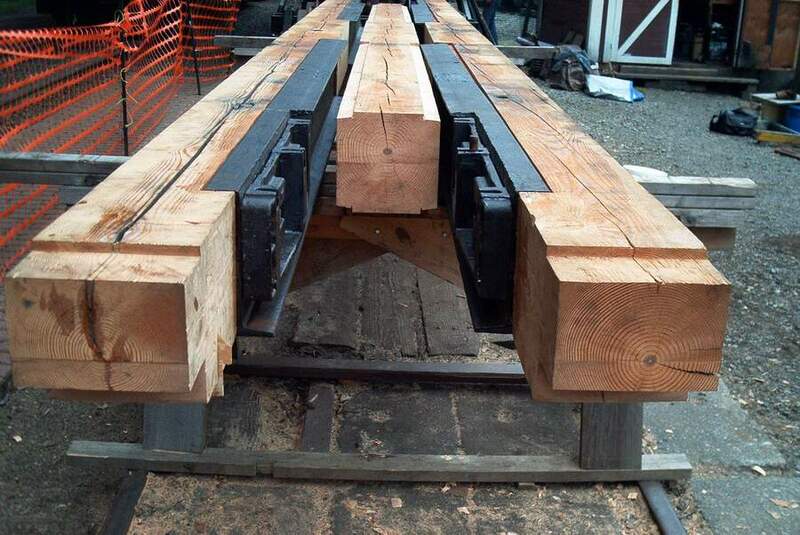 Now the three beams can be bolted together to form the center sill. Two of the four bolts that hold the three beams together. Three foot long bolts were used. 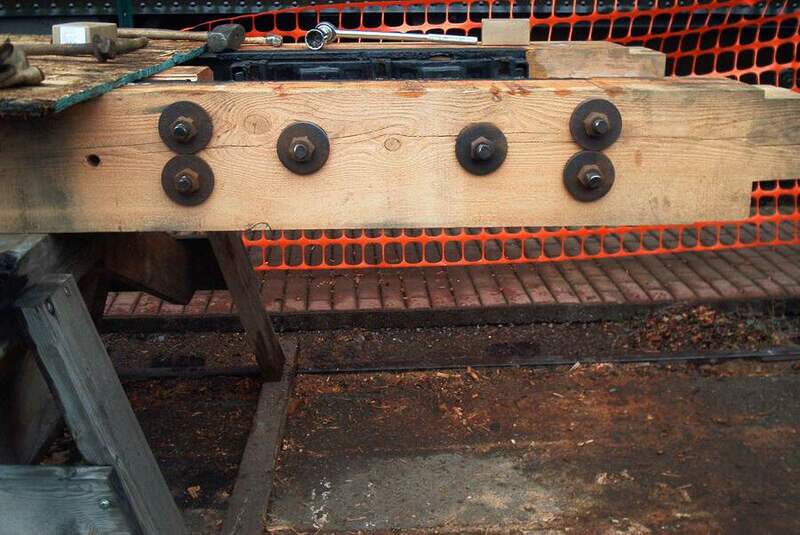 Typical of the contruction found on this caboose, the washers vary. These two are cast washers of two different diameters. And there it is, the new center sill. All photos Copyright 2003 by Martin Nemerever. Copying prohibited without permission.